The origins and functioning of the Eiffel Tower will be detailed by your guide speaker during this visit of 1:30 in the heart of the famous Iron Lady! The bunker of the Champs de Mars, the engine room, the hydraulic system, the Parisian heritage, the wind turbines … your guide will tell you a lot of anecdotes as well historical as odd. Your skip the line will allow you to reach the 2nd floor of the Eiffel Tower where you will be surprised by the splendid point of view overlooking our capital. 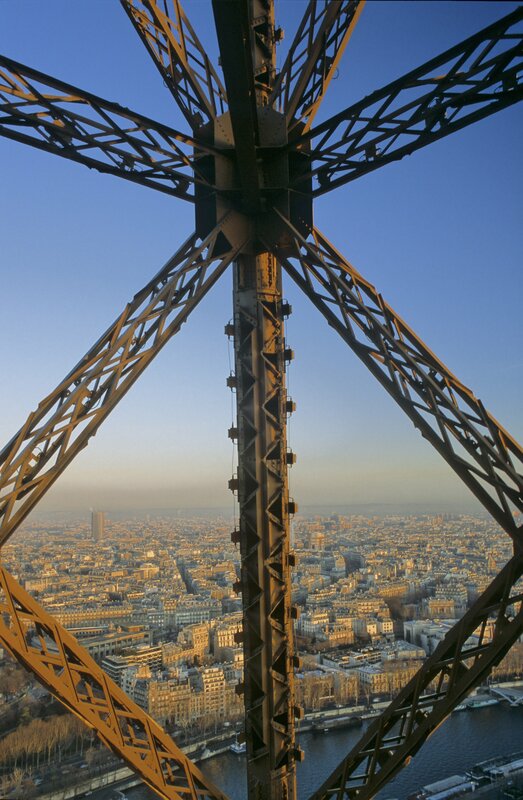 It is from this observatory located 115 meters from the ground that you can apprehend the architectural heritage of Paris in the best way with your guide speaker. Indeed, it is at this height that the general perspective on the city is optimal. Finally, after 1:30 of guided tour your ticket will allow you to stop on the 1st floor to freely admire the glass floor and its breathtaking view on the ground. An amazing and scary experience! Due to a strengthening of the security at the Eiffel Tower, we are asking you to come 45 minutes before your tour.